Guns are not toys. You’d think that a firearms instructor, of all people, would know that. Especially when the gun in question is an Uzi submachine gun. Developed in the late 1940s by Israeli Major Uziel Gal, it was introduced into the Israeli Special Forces in 1954. Two years later, it was pressed into general issue among the Israeli Army. It’s compact, easy to carry (weighing about seven pounds) and utterly lethal, firing 600 rounds per minute. This was designed purely as a weapon of war. Its purpose is to quickly kill as many enemy soliders as possible. In short, it’s not a toy for the amusement of children. On August 25, a firearms instructor named Charles Vacca, 39, of Lake Havasu City, Arizona, learned that the hard way. He was showing a nine-year-old girl how to use an Uzi submachine gun at the Last Stop outdoor shooting range in Dolan Springs. The girl pulled the trigger and the recoil sent the gun over her head, shooting the instructor in the head. He was flown to University Medical Center in Las Vegas, but did not survive. Clearly, this was yet another entirely preventable killing. First of all, why does a nine-year-old girl need to learn to use an Uzi? As stated previously: This is a military weapon, designed solely for killing large numbers of people as quickly as possible. So unless you’re a soldier–or a serial killer–this gun has no use for you. Its bullets–up to .45 caliber–will not only go through their intended target–but into any bystanders who are unlucky enough to be behind him as well. Contrast this with ammo like the Glazer Safety Slug, which uses No. 6 birdshot suspended in liquid Teflon. Upon impact, the round explodes within the target, scattering the birdshot for an almost certifiably lethal wound. Thus, the Glazer round won’t pass through its intended target to strike someone standing behind him. And if the round hits a wall, it will shatter, thus reducing the danger of a ricochet. Second, the instructor should have known that a 600-round-a-minute weapon is bound to have a big recoil. So he should have put his arms around hers to ensure that she had a firm grip on the weapon. The result: Another casualty of the NRA mentality that says: Everyone of any age and inability should have access to high-caopacity military firepower. This latest tragedy bears a striking resemblan/ce to the one that just as needlessly killed “American Sniper” Chris Kyle. As a Navy SEAL sniper, from 1999 to 2009, Kyle recorded more than 160 confirmed kills–the most in U.S. military history. Iraqis came to refer to him as “The Devil” and put a $20,000 bounty on his life. After leaving combat duty, he became the chief instructor for training at the Naval Special Warfare Sniper and Counter-Sniper team. And he authored the Naval Special Warfare Sniper Doctrine, the first Navy SEAL sniper manual. Upon retiring from the Navy, he created a nonprofit company, FITCO Cares. Its mission: to provide at-home fitness equipment for emotionally and physically wounded veterans. And he was a mentor to veterans suffering from PTSD–Post Traumatic Stress Disorder. It was this last activity–and, more importantly, his approach to therapy–that cost him his life. On February 2, 2013, an Iraqi War veteran reportedly suffering from PTSD turned a semi-automatic pistol on Chris Kyle and Kyle’s friend, Chad Littlefield, while the three visited a shooting range in Glen Rose, Texas. The accused murderer is Eddie Ray Routh, of Lancaster, Texas. Routh, a corporal in the Marines, was deployed to Iraq in 2007 and Haiti in 2010. Police later found the murder weapon at his home. It was apparently Kyle’s belief that shooting could prove therapeutic for those suffering from mental illness. Erath County Sheriff Tommy Bryant said that Routh’s mother “may have reached out to Mr. Kyle to try to help her son. Chris Kyle was undoubtedly one of the foremost experts on firearms in the United States. Few knew better than he did the rules for safe gun-handling. And yet he broke perhaps the most basic commonsense rule of all: Never trust an unstable person with a loaded firearm. And it was the breaking of that rule that killed him. Charles Vacca made a similar elementary mistake: He assumed that a nine-year-old girl was ready to take on the challenges of military hardware that was never designed for children. 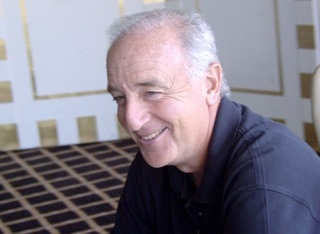 Steven Pressfield is the bestselling author of several novels on ancient Greece. In Gates of Fire (1998) he celebrated the immortal battle of Thermopylae, where 300 Spartans held at bay a vastly superior Persian army for three days. In Tides of War (2000) he re-fought the ancient world’s 25-year version of the Cold War between the Greek city-states of Athens and Sparta. In The Virtues of War (2004) he chronicled the military career of Alexander the Great–through the eyes of the conqueror himself. And in The Afghan Campaign (2006) he accompanied Alexander’s army as it waged a vicious, three-year counterinsurgency war against native Afghans. Besides being an amateur historian of armed conflict, Pressfield is a former Marine. His novel, Gates of Fire, has been adopted by the Marine Corps as required reading. So Pressfield knows something about the art–and horrors–of war. And about the decline of heroism in the modern age. Consider the events of November 9, 2012. On that date, General David Petraeus suddenly resigned his position as director of the Central Intelligence Agency. He had held this just slightly more than a year. The reason: The revelation of–and his admission to–an extramarital affair with Paula Broadwell, the woman who had written an admiring biography of him called All In. Ironically, this happened to be the same day that “Skyfall”–the latest James Bond film–opened nationwide. Since Bond made his first onscreen appearance in 1962’s “Dr. No,” England’s most famous spy has bedded countless women. And has become internationally famous as the ultimate ladykiller. It seems that real-life doesn’t quite work the same way. What is permitted–and even celebrated–in a fictional spy is not treated the same way in the real world of espionage. Prior to this, Petraeus had been the golde n boy of the American Army–the best-known and most revered general since Dwight D. Eisenhower. had presided over the winding down of the war in Afghanistan. “General Petraeus had an extraordinary career. He served this country with great distinction in Iraq, in Afghanistan and as head of the CIA. “I want to emphasize that from my perspective, at least, he has provided this country an extraordinary service. We are safer because of the work that Dave Petraeus has done. “If I’m pressed to really think about the question, I would answer that what appeals to me about the ancient world as opposed to the modern is that the ancient world was pre-Christian, pre-Freudian, pre-Marxist, pre-consumerist, pre-reductivist. To fit in with the change of events, words, too, had to change their usual meanings. What used to be described as a thoughtless act of aggression was now regarded as the courage one would expect to find in a party member. To think of the future and wait was merely another way of saying one was a coward. Any idea of moderation was just an attempt to disguise one’s unmanly character. Ability to understand a question from all sides meant that one was totally unfitted for action. “Our age has been denatured. The heroic has been bled out of it. “The callings of the past–the profession of arms, the priesthood, the medical and legal professions, politics, the arts, journalism, education, even motherhood and fatherhood–every one has been sullied and degraded by scandal after scandal. “We’re hard up for heroes these days, and even harder up for conceiving ourselves in that light. That’s why I’m drawn to the ancient world. It’s truer, in my view, to how we really are. “The ancient world has not been reductified and deconstructed as ours has; it has not been robbed of all dignity. They had heroes then. There was such a thing, truly, as the Heroic Age. Men like Achilles and Leonidas really did exist. Today, generals stationed thousands of miles from the front command armies. Andthey face more danger from heart attacks than from dying in the heat of battle. The torch had barely gone out at the much-ballyhooed Sochi Olympics when Russian President Vladimir Putin began menacing the Ukraine. And since late February, he has done so, gradually moving Russian troops into Ukraine and its autonomous republic, Crimea. “There’s no question but that the president’s naiveté with regards to Russia,” said Romney on March 23. Among those countries invaded or controlled by America: Cuba, Guatemala, Nicaragua, Columbia, Panama, the Dominican Republic. The alternative? The threat of Soviet invasion–as occurred in Hungary in 1956 and Czechoslavakia in 1968. During the 1930s, Winston Churchill, a seemingly failed politican, repeatedly warned his British countrymen against the growing menace of Nazi Germany. The leaders of Britain, France and the United States–the three great victors of World War 1–hoped that if they simply ignored the increasingly aggressive behavior of Adolf Hitler, they could somehow escape catastrophe. When, in the early 1930s, Hitler began re-building a powerful German army (Whermacht) in open defiance of the Versallies Treaty that had ended World War 1, Churchill gave warning–and was ignored. When Hitler ordered his army to occupy his native Austria in 1938, Churchill warned that the Nazis would not be content with the conquest of one nation. And was ignored. When British Prime Minister Nveille Chamberlain surrendered to Hitler’s demands at the infamous “Munich conference,” his fellow Britons were ecstatic. He returned to England as a hero. Hitler next turned his attention to Poland–which he invaded on September 1, unintentionally triggering World War II. Winston Churchill’s warnings fell on deaf ears until other world leaders–most notably Franklin Roosevelt and Joseph Stalin–were forced by events to take action. So did the warnings of Harvard political science professor Samuel P. Huntington. Arab dictatorships were fragile and could be overturned by the masses of unemployed young men. But even if they fell, the new regimes would not modernize along Western lines. Islamic bitterness and humiliation at the achiveements of Western civilization over the last 200 years. Following the 1979 Iranian Revolution, a quasi-war developed between some Islamic nations and some Western ones. On the Islamic side: Iran, Sudan, Iraq, Libya and Syria. On the Western side: The United States and Britain. On April 15, two pressure-cooker bombs exploded at the finish line of the Boston Marathon, killing 3 people and injuring 264. The culprits: Two Muslim brothers, Dzhokhar Tsarnaev and Tamerlan Tsarnaev, who had emigrated to the United States from the former Soviet Union. On May 22, two Islamic terrorists, wielding machetes and shouting “Allahu Akbar!” (“God is Great!”) hacked a British soldier to death on a London street. 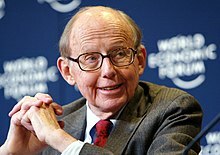 The author of nine books, in 1996 he published his most invluential one: The Clash of Civilizations and the Remaking of World Order. Its thesis was that, in the post-Cold War world, people’s cultural and religious identities would be the primary sources of conflict. Former Alaska Governor Sarah Palin has some advice on Syria. Anyone who doubts the wisdom of this should look at a photo now making the rounds on the Internet. Taken in Syria, it shows a seven-year-old boy, wearing a baseball cap and, with both hands, holding aloft a severed head. “That’s my boy,” reads a caption underneath. It may been written by Khaled Sharrouf, a wanted terrorist who fled Australia to join the Islamic State in Iraq and Syria (ISIS). It is ISIS that now threatens to overwhelm Iraq and re-establish an Islamic Caliphate. That photo is the real face of Syria. It’s worth remembering as Democratic and Republican politicians seek to prove their toughness to voters. One of the Democrats is former Secretary of State Hillary Clinton, who blames President Obama for not sending military forces to Syria. “I know that the failure to help build up a credible fighting force of the people who were the originators of the protests against Assad—there were Islamists, there were secularists, there was everything in the middle—the failure to do that left a big vacuum, which the jihadists have now filled,” Clinton recently said. There’s an old saying: When your enemy is digging himself into a hole, let him keep digging. And that is exactly the case with those groups now waging all-out war against each other in Syria. Hezbollah is comprised of Shiite Muslims, who form a minority of Islamics. A sworn enemy of Israel, it has kidnapped scores of Americans suicidal enough to visit Lebanon and truck-bombed the Marine Barracks in Beirut in 1983, killing 241 Marines. Al-Qaeda, on the other hand, is made up of Sunni Muslims, who form the majority of Islamics. Intolerent of non-Sunni Muslims, it has instigated violence against them. It denounces them as “takfirs”–heretics–and thus worthy of extermination. But Hillary Clinton isn’t the only one urging Obama to waste American lives in a cause that only Islamic terror groups and right-wing Americans find compelling. Republican U.S. Senator from Arizona John McCain has repeatedly urged the Obama administration to wage war on Syria. McCain, unlike Clinton, served in Vietnam as a U.S. Navy pilot. In October 1967, while on a bombing mission over Hanoi, he was shot down, seriously injured, and captured by the North Vietnamese. He remained a prisoner of war until his release in 1973. President Obama is reportedly weighing his options for intervention in Syria. But it’s not too late for him to draw back from the brink. He can establish an all-volunteer brigade for those Americans willing to fight and possibly die in yet another pointless war. And he can especially offer the same opportunity to tough-talking politicians eager to put others’ lives in harm’s way. Finally, Obama can offer to fly them to the border of Syria so they can carry out their self-appointed “conquer or die” mission. A friend of mine–I’ll call him Sam–recently broke his big toe. But Sam has a bigger problem than his big toe. He’s on Medi-Cal, the California medical plan for the poor. And if you think the nation’s veterans have it bad, try getting medical care when doctors refuse to honor your insurance. After breaking his toe while tripping over a bag, Sam went to his regular doctor, a general internist at California Pacific Medical Center (CPMC) in San Francisco. The doctor examined Sam’s toe and said he was worried. It was a big fracture, and if the bones didn’t knit together properly, Sam could be in for big trouble. So he advised Sam to see an orthopedic surgeon. Luckily for Sam, said his doctor, there was one close by in the same office. The doctor would ask him to check out Sam’s injury then and there. Unluckily for Sam, he was on Medi-Cal--and the orthopedic surgeon refused to honor his insurance and see him. At home, Sam called Anthem Blue Cross, the private insurance company now providing coverage to the poor under the state Medi-Cal program. The Anthem representative soon emailed Sam a list of Anthem Blue Cross orthopedic surgeons who would supposedly accept his insurance. He then printed out the list on his computer. Sam then made another phone call–to the office of Dr. Vernon L. Giang, Chief Medical Executive for CPMC. There he spoke with an assistant to Dr. Giang. He explained his difficulties in getting medical care at CPMC. He added that he had obtained a 14-page list of Anthem-Blue Cross-approved orthopedic surgeons who should be willing to accept his insurance. Sam hobbled several blocks to a nearby Kinko’s/FedEx office, which had fax machines. The next morning, Sam called Dr. Giang’s office. He reached the same assistant, who told him that the faxed material had come in. The bad news: There wasn’t a single doctor on that list whom she had called who would accept Sam’s insurance. In addition, some of the doctors were “out of our plan.” Which meant that even if they had been willing to accept Sam’s insurance, he couldn’t have seen them. So Sam aimed higher. He phoned the office of Dr. Warren S. Browner, the CEO of California Pacific Medical Center. But he didn’t reach Browner–or even a secretary. As a rule, when you call a giant corporation and ask to speak with its CEO, this doesn’t happen. But what usually does happen is that you’re put through to the executive offices. You won’t speak with the CEO, but you’ll usually reach a secretary for him. And if your message is one that poses legal or public relations disaster for the company, the odds are excellent that you’ll soon get a call back. Not from the CEO (except in rare cases) but from someone deputized to speak in his name–and to probably address your problem. But, in this case, there was no secretary to answer the phone for Dr. Browner. Just a message machine. So Sam left an urgent message, outlining his difficulties in getting medical care from CPMC. No one from Dr. Browner’s office called him back that day. Meanwhile, the pain in Sam’s foot was getting worse. So, later that day, he hobbled into an emergency room of CMPC. A doctor examined Sam’s foot and ordered several X-rays taken of the broken toe. After examining these, he told Sam what he already knew: The toe was broken. He also warned that if it wasn’t treated properly, Sam could have great pain–such as from arthritis–in the future. Sam explained how he had been unable to get an orthopedic surgeon to look at his toe. The doctor said he would try to find one who would. Sam waited in the ER for almost four hours. When he finally saw the doctor again, the latter seemed embarrassed to give him the bad news. He hadn’t been any more successful than Sam at finding a CPMC orthopedic surgeon willing to treat Sam’s injury. When Sam asked what he should do, the ER doctor said that “time” would take care of the injury. The website for CPMC boasts: “At California Pacific Medical Center, our mission is to always give each patient the personal, hands-on attention they deserve.” Unless, of course, all of its doctors in a particular specialty refuse to honor the patient’s medical insurance. With forces of the Islamic State of Iraq and Syria (ISIS) launching a blitzkreig throughout Iraq, President Barack Obama seems to have caught the “Victory Through Airpower” disease. ISIS has thrown the American-trained Iraqi Army into a panic, with soldiers dropping their rifles and running for their lives. This has led Republicans to accuse the President of being about to “lose” Iraq. As a result, Obama has shipped at least 300 American “advisors” to Iraq to provide support and security for U.S. personnel and the American Embassy in Baghdad. By August 10, the United States announced a fourth round of airstrikes Sunday against militant vehicles and mortars firing on Irbil. Yet giving that order will not alter the balance of power in Iraq. It didn’t work for America in the 1991 and 2003 wars against Iraq. Both wars opened with massive barrages of American missiles and bombs. The 1991 war saw the first use of the vaunted “stealth bomber,” which could avoid detection by enemy radar. The 2003 war opened with an even greater bombardment to “shock and awe” the Iraqis into surrendering. They didn’t. Nor did air power prove effective on the Iraqi insurgency that erupted after American forces occupied Baghdad and much of the rest of the country. That war had to be fought by U.S. Army regulars and Special Operations soldiers-–especially Navy SEALS. It was a dirty and private effort, marked by nightly kidnappings of suspected Iraqi insurgents. Here’s where fantasy became fact for America’s military–and p0liticians. 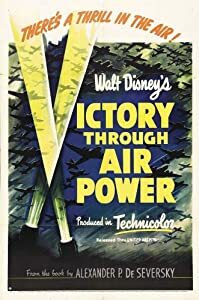 Victory Through Air Power is a 1943 Walt Disney animated Technicolor feature film released during World War II. It’s based on the book–-of the same title–-by Alexander P. de Seversky. Its thesis is summed up in its title: That by using bombers and fighter aircraft, the United States can attain swift, stunning victory over its Axis enemies: Germany, Italy and Japan. Although it’s not explicitly stated, the overall impression given is that, through the use of air power, America can defeat its enemies without deploying millions of ground troops. The movie has long since been forgotten except by film buffs, but its message has not. Especially by the highest officials within the U.S. Air Force. Although the Air Force regularly boasted of the tonage of bombs its planes dropped over Nazi Germany, it failed to attain its primary goal: Break the will of the Germans to resist. On the contrary: Just as the German bombings of England had solidified the will of the British people to resist, so, too, did Allied bombing increase the determination of the Germans to fight on. Nor did the failure of air power end there. On June 6, 1944–-D-Day–-the Allies launched their invasion of Nazi-occupied France. It was the largest amphibious invasion in history. More than 160,000 troops landed–-61,715 British, 73,000 Americans, and 21,400 Canadians. Allied air power bombed and strafed German troops out in the open. But it couldn’t dislodge soldiers barricaded in steel-and-concrete-reinforced bunkers or pillboxes. Those had to be dislodged, one group at a time, by Allied soldiers armed with rifles, dynamite and flamethrowers. This situation proved true throughout the rest of the war. Starting in 1964, the theory of “Victory Through Air Power” once again proved a dud–in Vietnam. From 1964 to 1975, 14 million tons of bombs were dropped on Vietnam, Laos, and Cambodia–-more than five times as many as it dropped in World War II. Yet the result proved exactly the same as it had in World War II: The bombing enraged the North Vietnamese and steeled their resolve to fight on to the end. The belief that victory could be achieved primarily–-if not entirely–-through air power had another unforeseen result during the Vietnam war. It gradually sucked the United States ever deeper into the conflict. To bomb North Vietnam, the United States needed air force bases in South Vietnam. This required that those bombers and fighters be protected. So a force to provide round-the-clock security had to be maintained. But there weren’t enough guards to defend themselves against a major attack by North Vietnamese forces. So more American troops were needed–-to guard the guards. North Vietnam continued to press greater numbers of its soldiers into attacks on American bases. This forced America to provide greater numbers of its own soldiers to defend against such attacks. Eventually, the United States had more than 500,000 ground troops fighting in Vietnam–with no end in sight to the conflict. If American troops once again face off with Iraqis, “Victory Through Air Power” will prove as hollow a slogan as it has in the past. President Obama claims to be a serious student of Realpolitick. If this were so, he would have predicted that most businesses would seek to avoid compliance with his Affordable Care Act (ACA). If the President ever considered the merits of this, he apparently decided against pressing for such a requirement. Obama is one of the most rational and educated men to occupy the White House. So what accounts for this failure to expect the worst in people–especially his self-declared enemies–and prepare to counter it? Niccolo Machiavelli’s brilliant assessments have repeatedly proven invaluable to understanding the failures of the Obama Presidency. Once again, he provides a shrewd insight into what may be the central reason for all of them. I also believe that he is happy whose mode of procedure accords with the needs of the times, and similarly, he is unfortunate whose mode of procedure is opposed to the times…. On this depend also the changes in prosperity, for if it happens that time and circumstances are favorable to one who acts with caution and prudence he will be successful. But if time and circumstances change he will be ruined, because he does not change the mode of his procedure. No man can be found so prudent as to be able to adopt himself to this, either because he cannot deviate from that to which his nature disposes him, or else because having always prospered by walking in one path, he cannot persuade himself that it is well to leave it. And therefore the cautious man, when it is time to act suddenly, does not know how to do so and is consequently ruined. For if one could change one’s nature with time and circumstances, fortune would never change. Obama is by nature a supreme rationalist and conciliator–not a confronter nor an attacker. And his career before reaching the White House greatly strengthened this predisposition. From 1985 to 1988, Obama worked as a community organizer–setting up a job training program, a college preparatory tutoring program, and a tenants’ rights organization. Such activity demands skills in building consensus, not confrontation. He then taught at the University of Chicago Law School for 12 years—as a Lecturer from 1992 to 1996, and as a Senior Lecturer from 1996 to 2004, teaching constitutional law. Law professors spend their time in clean, civil classrooms–far removed from the rough-and-tumble of criminal defense/prosecution. Even Jon Stewart, who on “The Daily Show” had supported the implementation of “Obamacare,” ran footage of Obama’s “you can keep your doctor” promise. As a result, the President now finds his reputation for integrity–long his greatest asset–shattered. Barack Obama is one of the most highly educated Presidents to occupy the White House. In underestimating the opposition of the business community to complying with the law. Three of those mistakes have already been outlined. Here are the remaining three. He is rendered despicable by being thought changeable, frivolous, effeminate, timid and irresolute—which a prince must guard against as a rock of danger…. “Over the past several months, the Administration has been engaging in a dialogue with businesses – many of which already provide health coverage for their workers – about the new employer and insurer reporting requirements under the Affordable Care Act (ACA). “We have heard concerns about the complexity of the requirements and the need for more time to implement them effectively….We have listened to your feedback. And we are taking action. In short: The administration is delaying until 2015 the law’s requirement that medium and large companies provide coverage for their workers or face fines. And how did Obama’s self-declared enemies react to this announcement? On July 30, House Republicans voted to proceed with a lawsuit against the President, claiming that he had failed to enforce the Affordable Care Act. Thus, Boehner intends to sue the President to enforce the law that the House has voted 54 times to repeal, delay or change. Obama Mistake Nol 5: Believing that public and private comployers would universally comply with the law. The Affordable Care Act requires employers to provide insurance for part-time employees who work more than 30 hours per week. President Obama and those who helped craft the Act may be surprised at what has happened. But they shouldn’t be. Greed-addicted officials will always seek ways to avoid complying with the law–or achieve minimum compliance with it. And what goes for public employers goes for private ones, too. A company isn’t penalized for failing to provide health insurance coverage for part-time employees who work fewer than 30 hours.